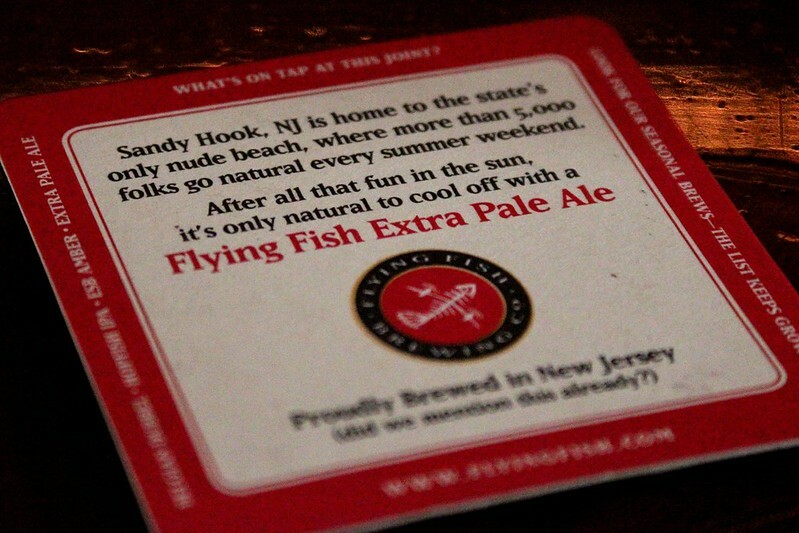 Other than our trip to Carton Brewing, I can honestly say I have never been to the Sandy Hook area of the Jersey Shore. I feel like I have been missing out. 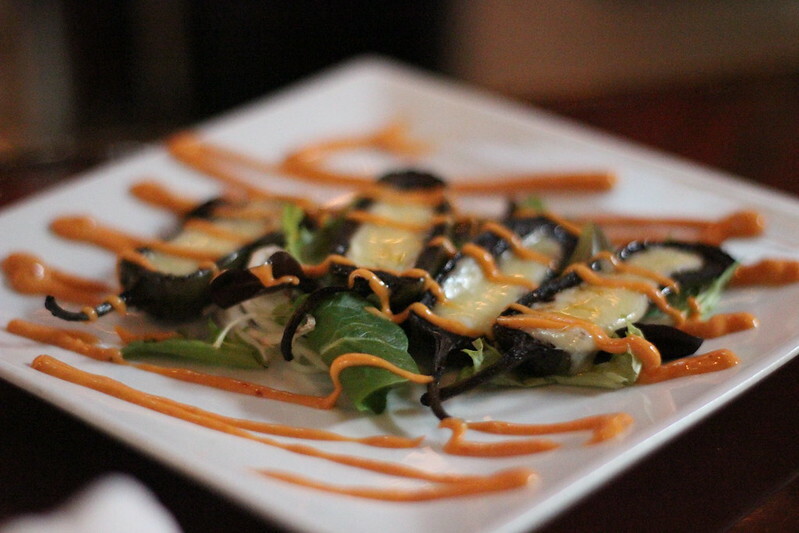 Sandy Hook and the Highlands share an awesome culture with lots of local historical attractions and fine cuisine. 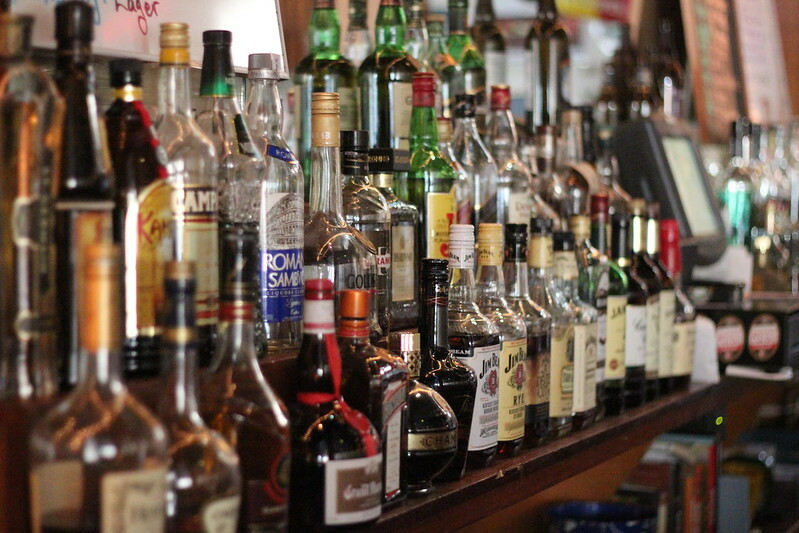 Once a haven for bootleggers during Prohibition, the region is now littered with an array of bar choices from swank seafood restaurants to your good old local watering hole. 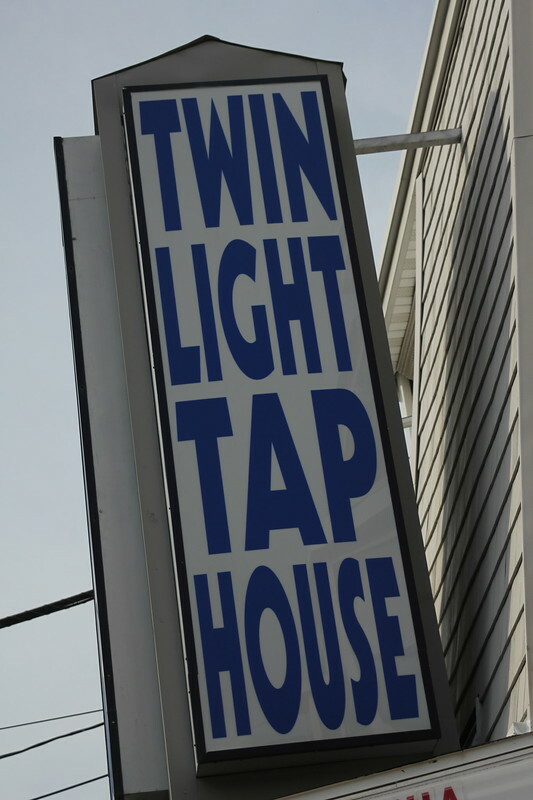 There is one place, however, that stands out from the others – and that place is Twin Light Tap House. 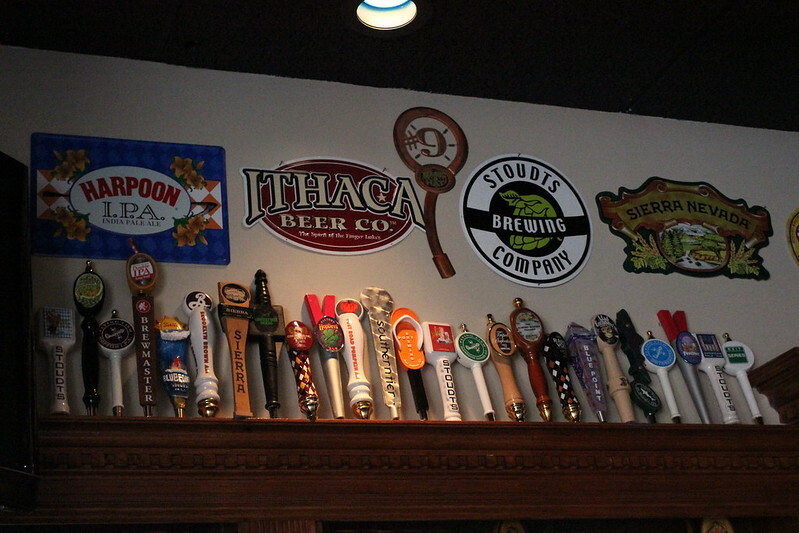 Opened in May of 2010, owner Mark Danziesen has been introducing beer drinkers of the area to the craft beer industry, offering draft and bottle selections from America’s finest breweries. 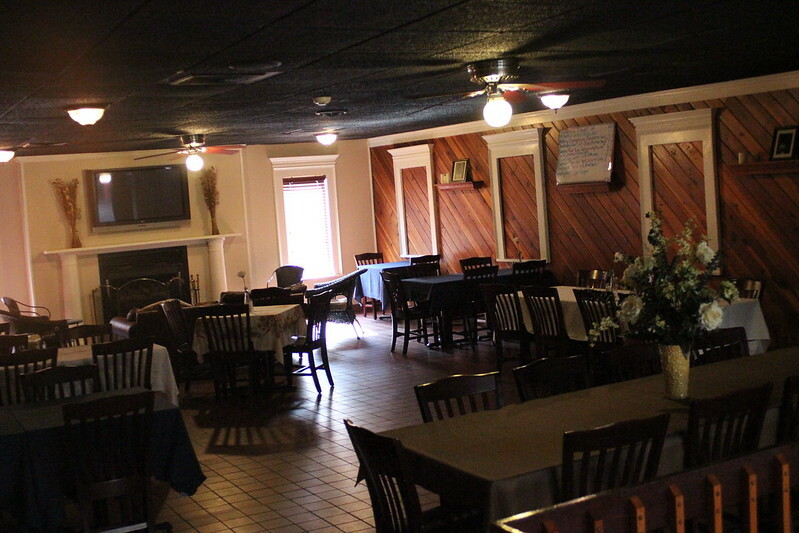 The interior of Twin Light Tap House made me feel right at home. 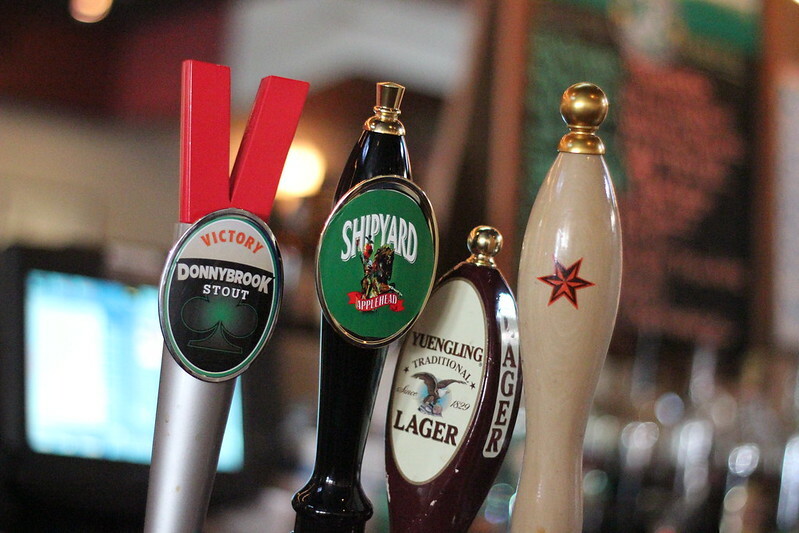 They had all the right signs of good beer flowing. A quick look on the board and I knew I had to continue my binge involving a particular rare release. 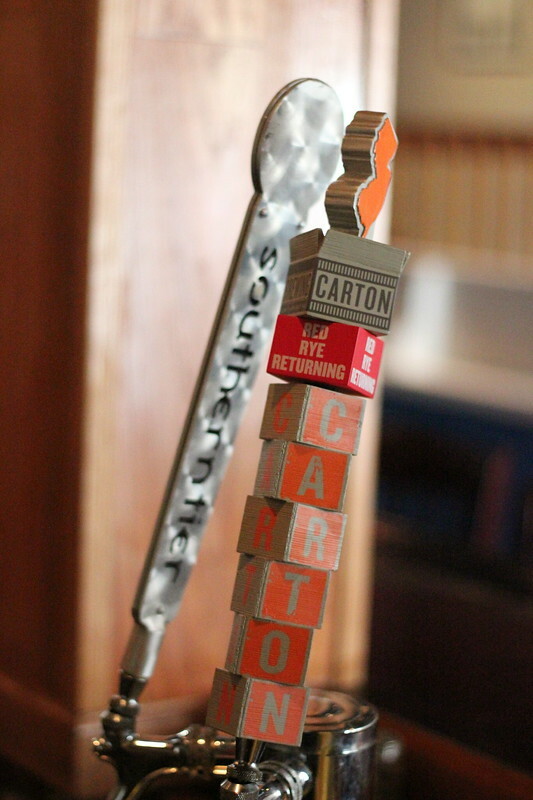 Carton Brewing’s Red Rye Returning. A little fun fact for the area. 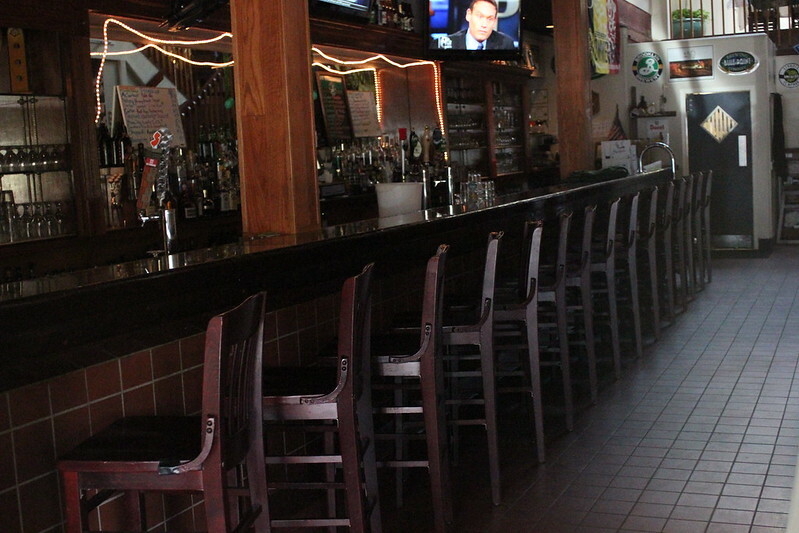 After getting my brew, I took a stroll around the inside of the bar. 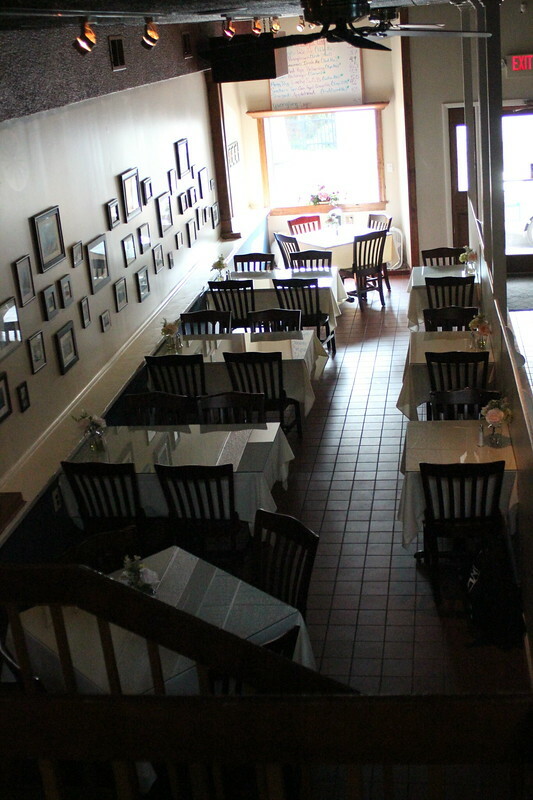 Let me tell you, there is no shortage of space here; ample seating at the bar as well as the dining room. They even have a second floor for the extra busy nights. As I was walking around I couldn’t help to notice the decor. 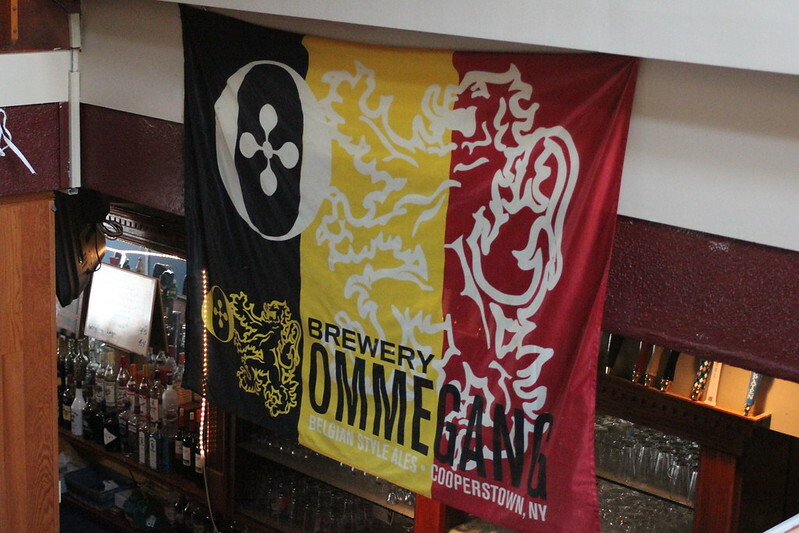 This Ommegang tapestry was pretty sweet. 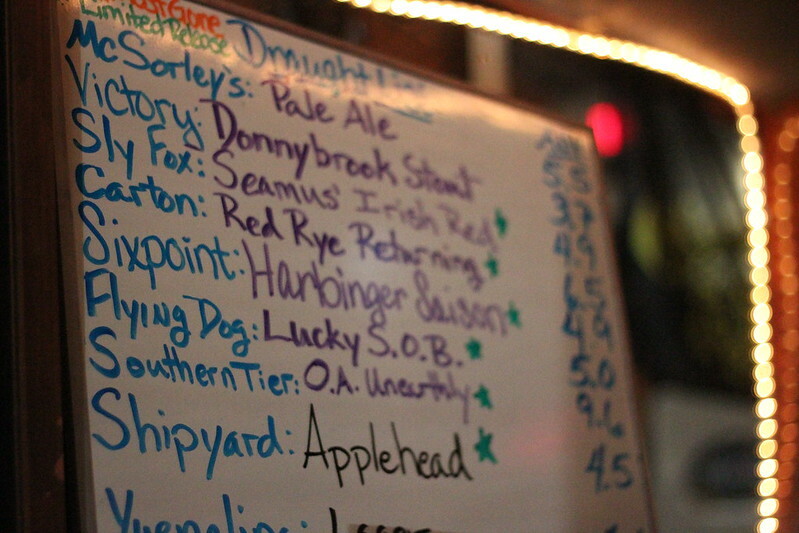 Mark keeps on a lot of local beer on at Twin Light Tap House, letting his clientele know what is right in their back yard. He is constantly rotating beers so you never know what he will have on next. 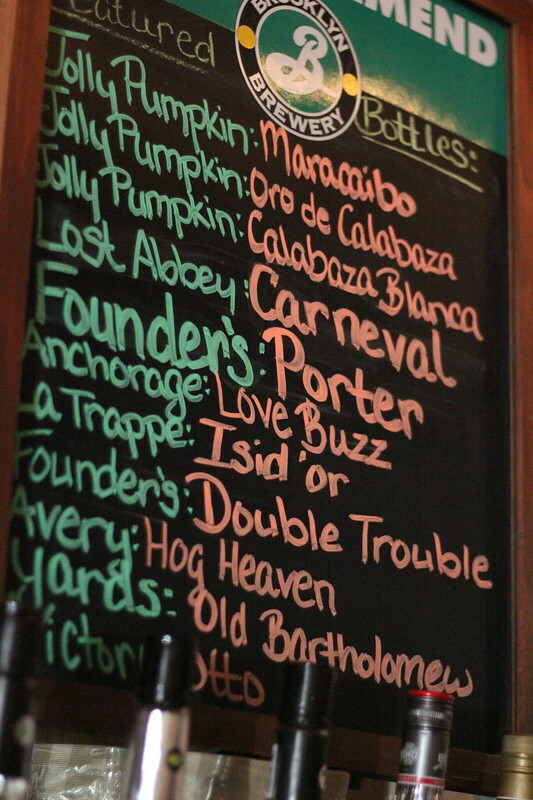 Aside from a great draft selection there is also a unique bottle selection available. 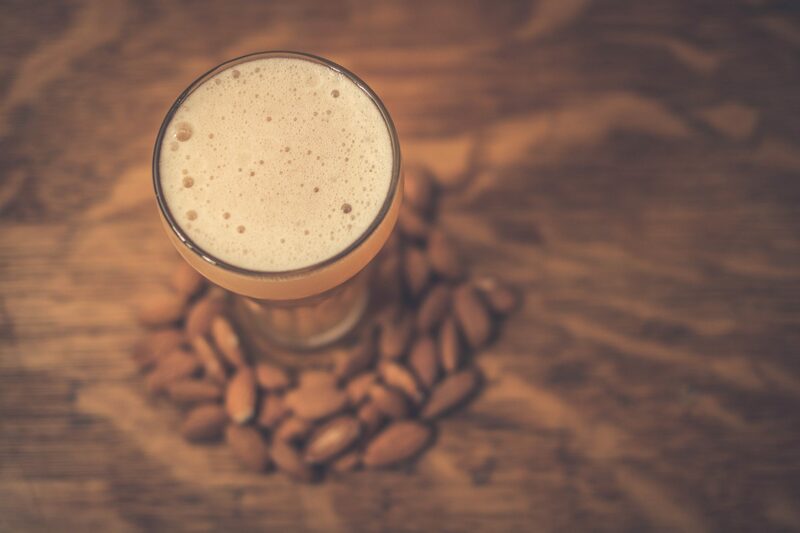 If you’re not exactly into beer, don’t fret. 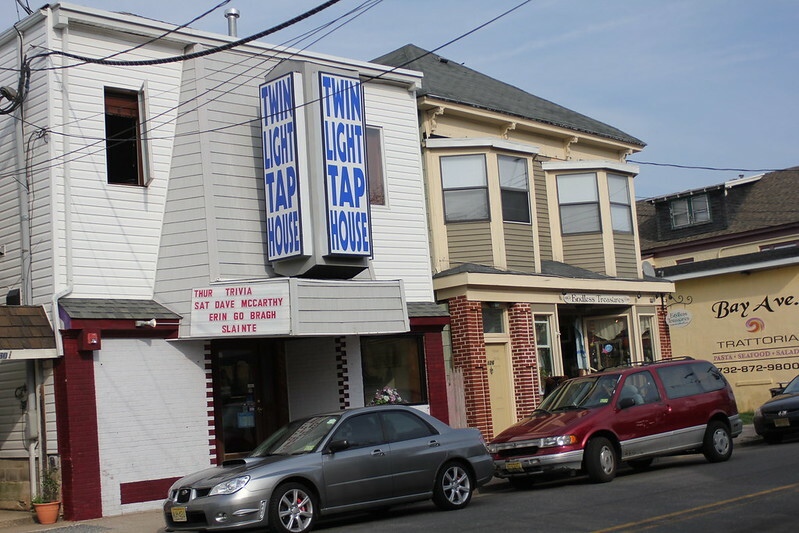 Twin Light Tap House also carries a nice selection of wine and spirits. After checking out the place it was time to get a bite to eat. Chef Mace Makowe put out a ridiculous spread for me to sample. A little bit of everything to experience, if you will. 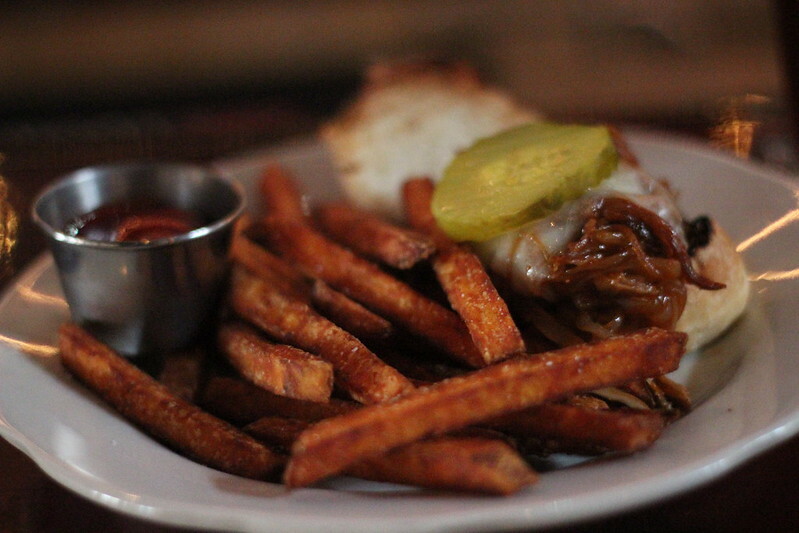 Here we have a pulled pork slider with a side of sweet potato fries. 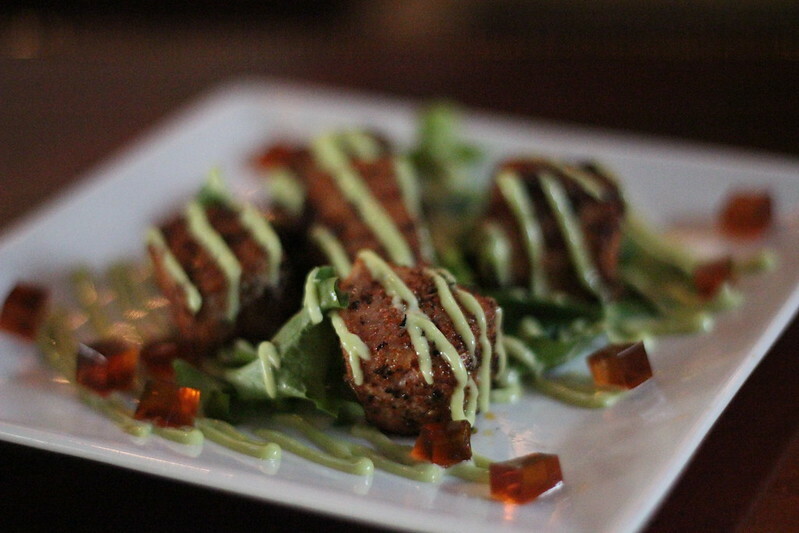 With that came some very tasty Cajun tuna bites complimented by wasabi sauce and soy sauce gelatin cubes. Followed by some amazing jalapeno poppers. Done a little differently than the breaded kind,Â these bad boys are pickled in balsamic vinegar, orange juice, and honey – then stuffed with cheese. 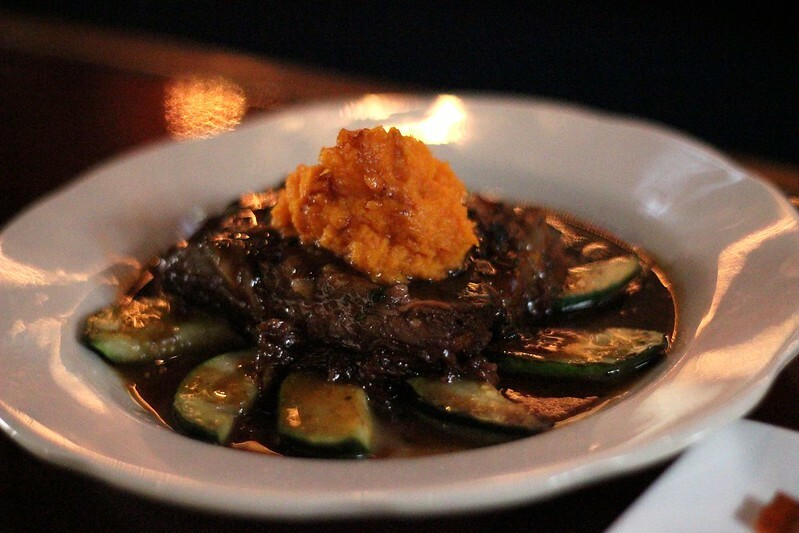 Mace finished things off with an amazing short rib joined by sweet potato, fresh zucchini, and a buttery demi glaze. 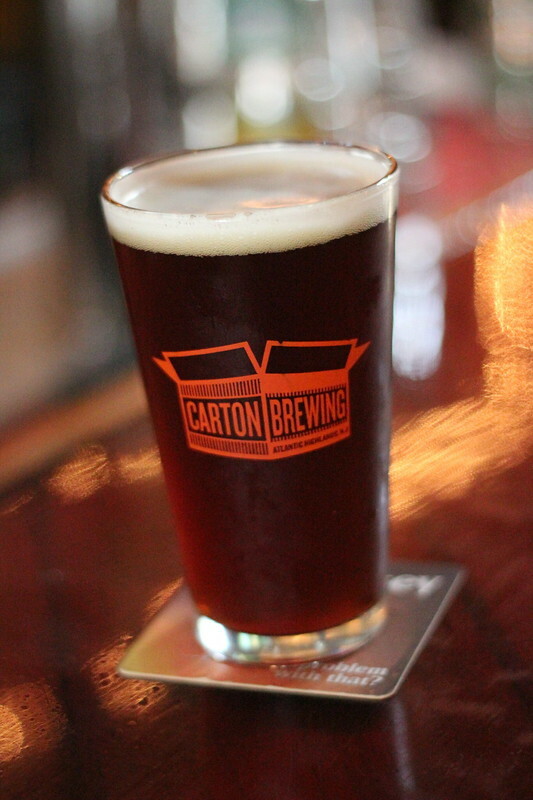 Whether you are in the area to check out the scenery of Sandy Hook or taking a quick tour of Carton Brewing in Atlantic Highlands, be sure to stop by Twin Light Tap House to a grab fresh pint and some exquisite food. Keep up to date with them on Facebook to see what they will be tapping next as well as the events they will be throwing. I have included some of their upcoming ones below.